Preheat oven to 375 degrees. Line muffin pan with paper liners or silicone cups. In a bowl, combine flours, baking soda, salt and wheat germ. In a large bowl, beat margarine and sugars with a mixer until light and fluffy. Add eggs, almond milk and extracts; beat well. Mix in the bananas. Bake for 20-25 minutes (12-15 minutes for mini muffins) or until a toothpick inserted in the center of a muffin comes out clean. Nice one! 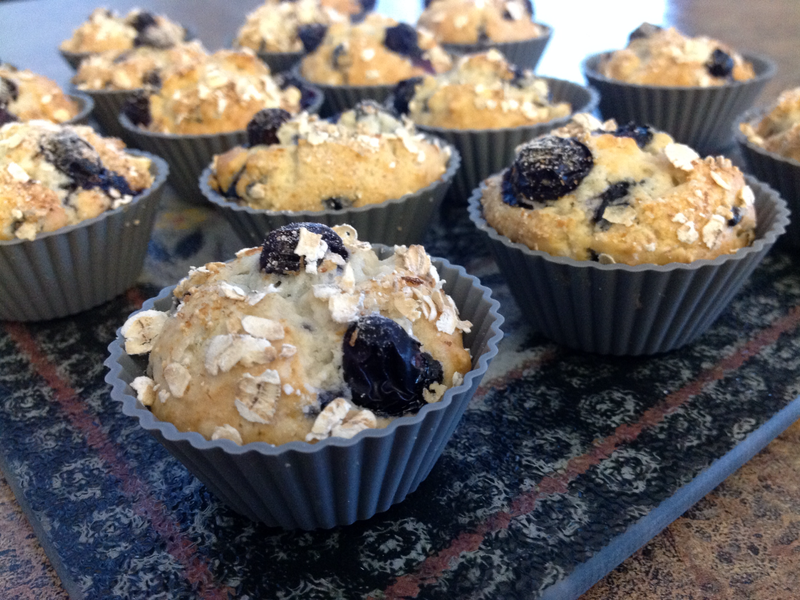 My morning blog offering was a muffin one as well😊 happy baking!! Great use of extra berries! Thanks, Heidie! Have a great day! I love everything about these muffins! They would make a great snack or breakfast!